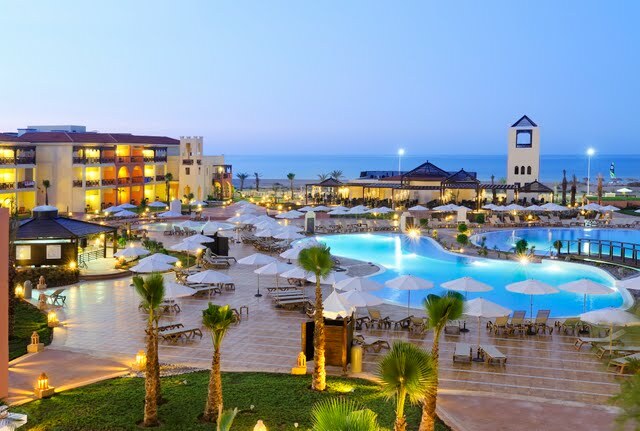 Meeting at the airport and moving to the hotel, according to hour of arrival if it is possibly visit to the city, to the well-known square of Jemaa El Fna (Jamaa El Fna, Djemaa El Fna). 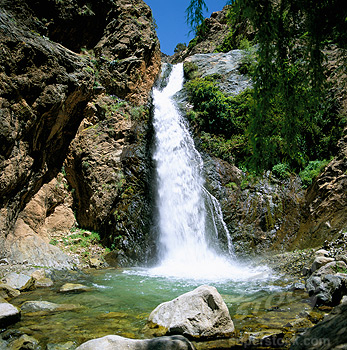 In the morning we will move to Ouzoud where we will visit the cascade, an impressive scenery of the biggest cascades with 110m of fall. During this visit it will be possible to observe the flora and fauna local (very probably are able to see of pretty little monkeys ) while we eat in the refreshment stalls the traditional meal. Possible bath in the river. We will continue to be able to enjoy the immense lake “ Bin the Ouidane ” placed in the high atlas. We will continue the trip to finish in Imilchil.Dinner and accommodation. After getting up early we will visit the traditional village of stone and adobe, will go to the place where every year lodges one of the most important holidays of the country, the mouseum of the weddings, where the berbers come to marry or to separate “ Ait Haddidu.” Continued we will go towards the lakes of Tislit (girl) and Iseli (boy) where we will do a small stop for later we will re-tackle the march towards the Gorges of Amelhago, where we will be able to rest and enjoy the whole scenery. We will continue the trip towards Merzuga, through the population of Golmima visiting the palm, the Ksars and the village of Erfoud where we will be able to visit a workshop of fossils. 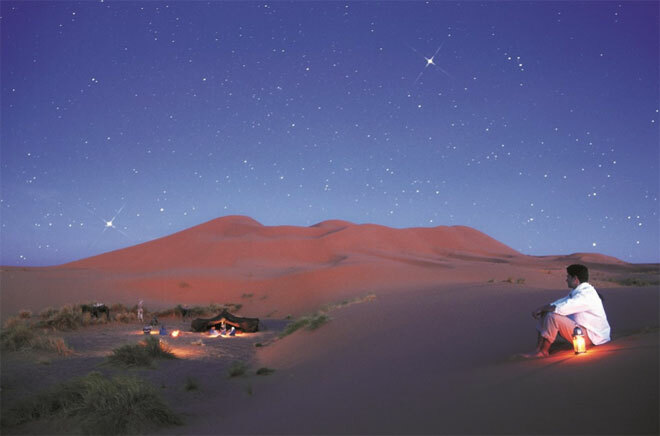 After the visit we will gain access to a track up to coming to Erg Chebbi, where the dromedaries waiting to move us up to the Haimas placed inside the desert where we are waited by a fantastic sunset and typical dinner followed by a party with music of the nomads of the desert. During the night we will be able to observe the absence of light contamination, enjoying thousands of stars. We start early to watch the sunrise from the top of the highest dunes in Morocco. Camels then take us to the hotel for a good shower and a good breakfast. We continue the path following the road through the villages where henna is grown, to the city of RISSANI; Alawite dynasty origin and the first imperial city of the country. 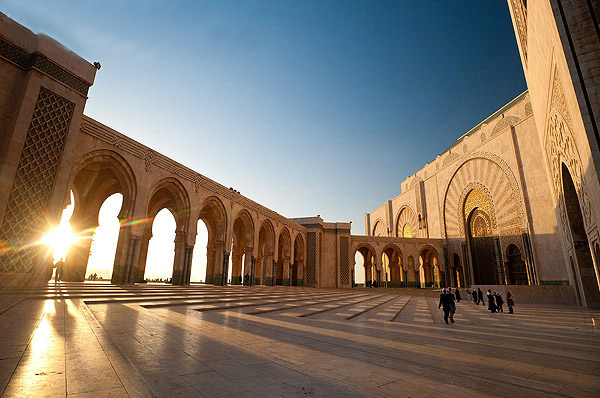 Its great souk under its red portals, and numerous Ksours (palaces). Then continue the way to ALNIF village. After lunch, we will take the road through JBEL OUGNAT bound TINGHIR and the impressives TODRA GORGES. In this area the water has carved a canyon whose walls can reach over 300m height, once here visit the area on foot with possibility to refresh in the river. 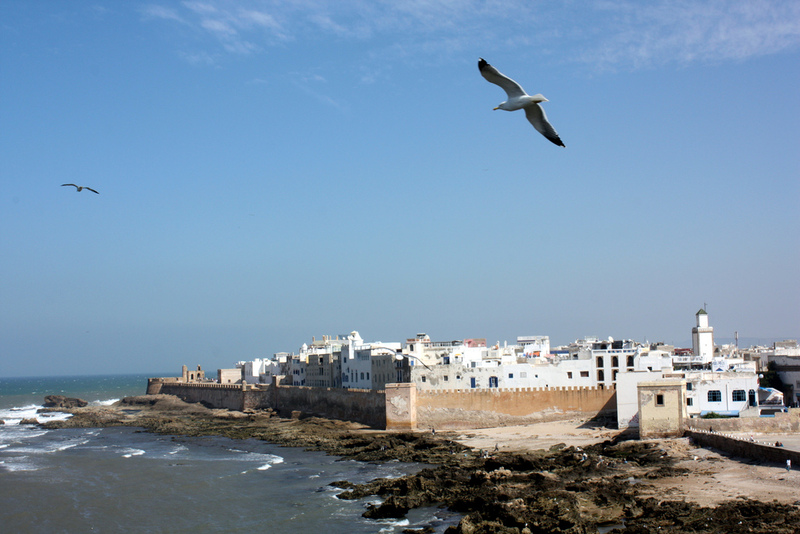 In the morning we will know the city of Tinghir, where we will have time to visit and to enjoy the city. We will continue the way through the Vale of the Dades, acquaintance as the “ route of thousand Kasbahs ”. We will keep through the populations of Boulmane Dades and Kelaa M’Gouna (vale of the roses), places known by the production of rose extracts. 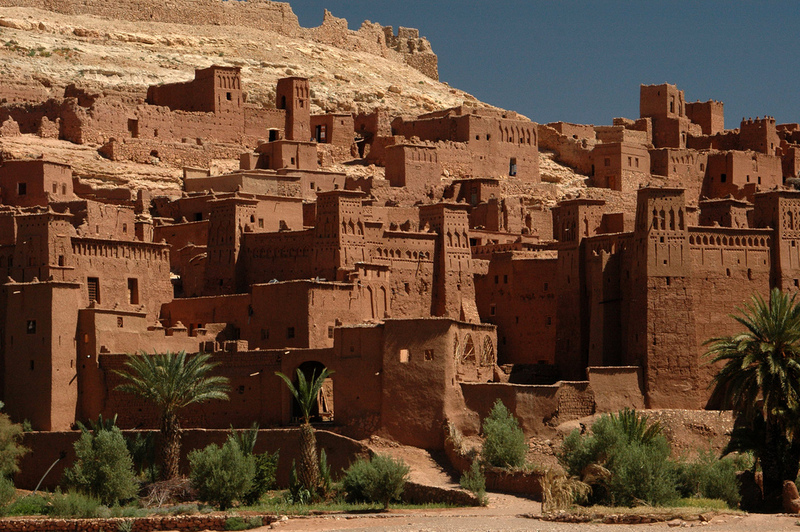 Arrive to Boutaghrar, we will visit Kasbah el Glaoui and his surroundings. In the morning we will enter “the way of thousand Kasbahs” towards Skoura through a big palm grove where Kasbahs are in the deplorable state, for the outskirts the new city is opened, from where we will gain access to a track towards the mountains of Emgoune enjoying sceneries and villages Berbers. After we move to Ouarzazate, one of the most important cities from the south of Morocco, known by his intense cinematographic activity and to visit to the Kasbah of Taurirt. 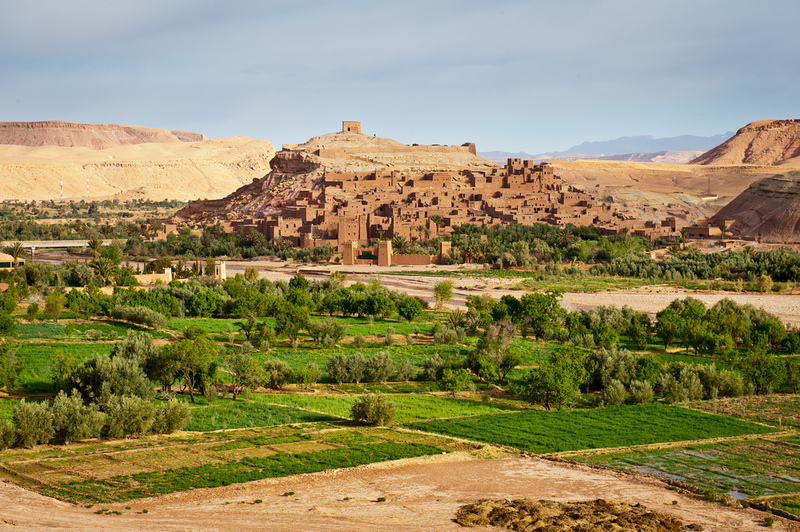 A possible visit to the lake, and after walking we will continue the route towards Ait Ben Haddou place, we will visit the famous Kasbah where have been filmed movies as Gladiator, The Kingdom of the Skies, Obelix, Sahara with Penélope cross. In the way we will turn aside for a track be able to come to the Kasbah of TELOUET from where we will contemplate the people and village, ideal place to take photos. To finish our trip we will set off towards Marrakech. Arrive in Marrakech, we will visit the principal square of jiemma-El-Fna, which every evening becomes the main focus of activities and shows, musicians, snake charmers … to the surroundings conference find the wonderful restaurants on the city. Accommodation in hotel o riad.